New York Oncology Hematology, the region’s largest provider of cancer and blood disorder care, is pleased to announce Inder Lal, M.D. has joined our team of medical oncologists and hematologists. 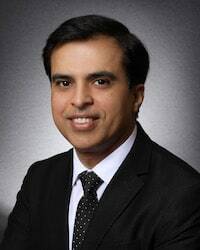 Dr. Lal served as Chief Fellow for Hematology/Oncologist at the University of Vermont Medical Center and completed his residency in Internal Medicine at St. Barnabas Hospital Bronx, NY. Dr. Lal is currently seeing patients at our Amsterdam Cancer Center location.